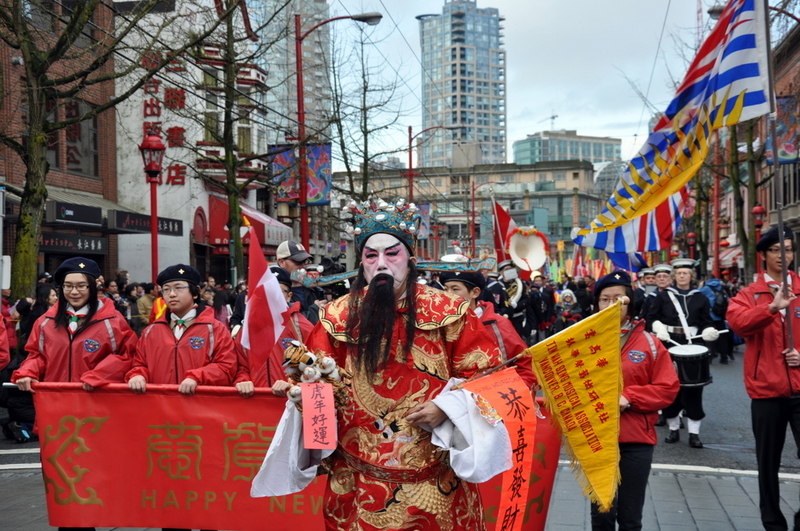 The Chinese New Year Parade, Vancouver Chinatown’s signature event, will return on February 6th, 2011. With lion dances, cultural dance troupes, marching bands and more, this parade is a cultural extravaganza not to be missed. Come see the sights, sounds and festivities of Chinese New Year to celebrate the Year of the Rabbit! The Chinese New Year Parade celebrates the new year of the Chinese lunar calendar and is a fun-filled event for everyone to enjoy. According to the City of Vancouver, the parade is one of the three largest non-commercial annual parades of Vancouver. The parade features the largest assembly of traditional lion dance teams in Canada with dozens of colourful and energetic lions from the various local fraternal and martial arts organizations. Other highlights include multicultural dance troupes representing the diverse segments of our Canadian cultural heritage, the Vancouver Police Department Motorcycle Drill Team, marching bands and various community groups. The parade is expected to have some sixty non-commercial entries, bringing over 3,000 participants from various community and cultural groups. It is not surprising that the parade draws over 50,000 spectators along the route each year plus many more seeing it through TV coverage. The 2011 parade will start at 12:00 noon sharp on Sunday, February 6th, 2011, and will take two hours to complete. The annual Chinese New year Banquet will once again be held at the Floata Seafood Restaurant, featuring lion dances, greetings by the fortune god and a variety show with singing, cultural dances and more. Reception starts at 6 pm in Chinese. The restaurant is located at #400, 180 Keefer Street. Tickets are $35 each. All events from the 2011 Vancouver Chinatown Spring Festival are open to the public. The Chinese New Year Parade and the 2011 Year of Rabbit Vancouver Chinatown Spring Festivalshow have free admission.